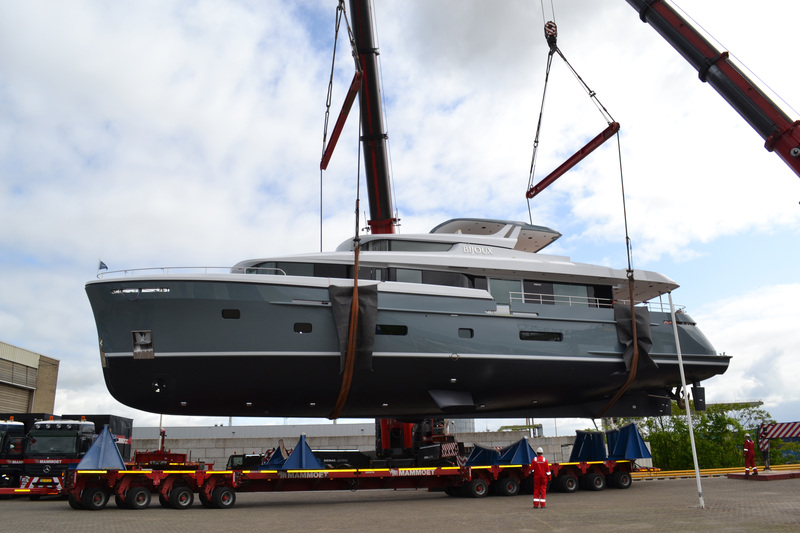 Motor Yacht Bijoux is launched – Superyachts News, Luxury Yachts, Charter & Yachts for Sale. 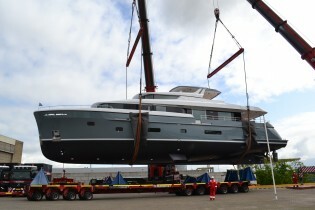 On Saturday May 14, early in the morning, motor yacht Bijoux hits the water at Moonen Shipyards in ‘s-Hertogenbosch. She is the first in the Moonen Caribbean series and has a steel hull and aluminum superstructure. With her 30 metres in length, and a total of four cabins she is a perfect family and friends yacht. Her exterior is designed by René van der Velden, he gave the yacht clean and bold lines. A modern grey and white color palette gives her an exciting and sporty look. Her striking interior comes from the boards of Adam Lay Studio. Diana Yacht Design is responsible for the naval architecture, detail engineering, construction, system engineering and 3D piping. An enormous challenge was to design a large swimming platform in the stern with a size normally only seen on much larger yachts, it’s designed in such way that when the swimming platform is retracted it is invisible to see from the outside. The tender store, also situated in the stern, is capable to store a 5 metre tender.